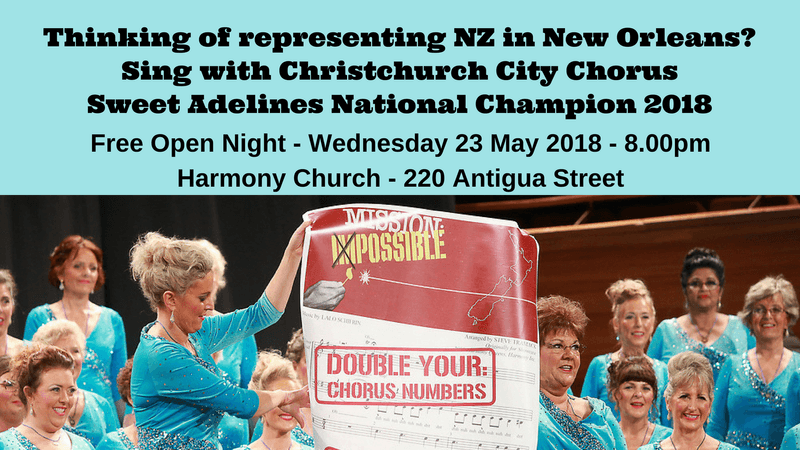 As the Regional Champion 2018, Christchurch City Chorus will represent New Zealand at the Sweet Adelines International competition in New Orleans 2019. Christchurch City Chorus encourages any women of all ages who love to sing in four part harmony, to join an award winning chorus. It's a great time to find out what women in harmony can do. Thinking to represent NZ in New Orleans? Please come along to our free Open Night.